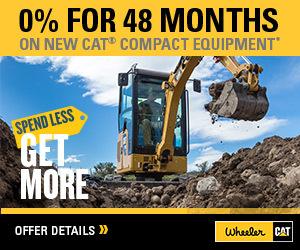 Caterpillar Filters | Wheeler Machinery Co.
Every Cat machine performs better with genuine Cat parts. 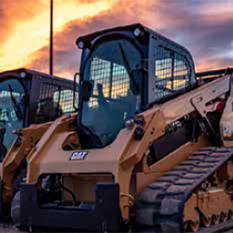 Cat filters not only improve performance—they also protect vital components for longer life and higher resale value. It’s easy to see the difference between a genuine Cat filter and other brand filters. A side-by-side comparison will show an obvious difference in quality. Cat filters are designed for superb filtration efficiency to offer the best protection for your equipment. And that improves your bottom line. Although you may find that other brands fit, you will also find that they won’t give you the protection and quality necessary to maximize the life of your engine and other component systems. If you’re using “off-brand” filters, it’s simple to replace them with high-quality Cat filters. Enter the off brand part number at catfiltercrossreference.com and find the Cat filter you need. Or simply call us. With genuine Cat filters, you (and your engine) can breathe easier. 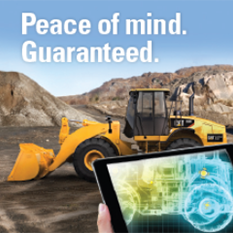 Other brands may fit, but Cat filters protect your engine, drive train, hydraulic systems, and components better. Our advanced design delivers maximum filtration efficiency and protection for your machine. For you, that means more uptime and lower owning and operating costs. Spiral roving eliminates pleat movement and keeps contaminants from working their way into the clean side of the filter. Testing shows filters with spiral roving have 45% lower particle counts than others. Other brands often flex as fluid travels through them, releasing contaminants that can cause wear. Acrylic beads rigidly maintain pleat spacing and maximize the filter’s surface area — capturing and holding contaminants until the required change interval. Pleat bunching is common in other brands, allowing contaminants to circulate, cause clogging and shorten filter life. Fiberglass-reinforced nylon center tubes eliminate metal contamination and are 30% stronger than metal tubes, helping prevent collapse during pressure spikes or cold starts. In other brands, metal center tubes often carry metal contaminants left over from manufacturing, which can cause wear. Molded end caps completely seal the clean side from the dirty side, eliminating gaps and keeping contaminants where they belong. Other brands have metal end caps glued on top of filter pleats — creating gaps that allow contaminants to reenter from the clean side.